Is the choice you are creating honoring you? Q&A: Is the choice you are creating honoring you? Q 1. Hi Susan – I finally found a relationship that works for me. He is married. And I would be considered the other woman. I have a point of view about it, not hugely, but I do. So many judgements and so many other things are being thrown at me because of it. What can I do so it does not emotionally crippled me or him? Q 2. I have always had the point of view that if I am in a relationship it is me only. I am not willing to share my partner with another. What if I found out my partner was seeing someone else? I love him and can’t seem to let go. He denies he is seeing someone else, yet I get the energy he is. Can I be in allowance of this? Should I simply leave and continue my life by myself? If I keep him in my life as is, am I diservicing myself and short changing me? Is it possible to love more than one person at the same? He says he will never leave me and he doesn’t want me to leave either. Yet something has changed between us, yet energetically he is still a contribution to me. I am caught in an ebb and flow with my emotions and desires. One minute I want to be with him no matter what, and the next I just want to cut him off completely. I really wish it could be like how it used to be. What do I do or be here to get clarity of what I should do? Did you choose a toxic mother? 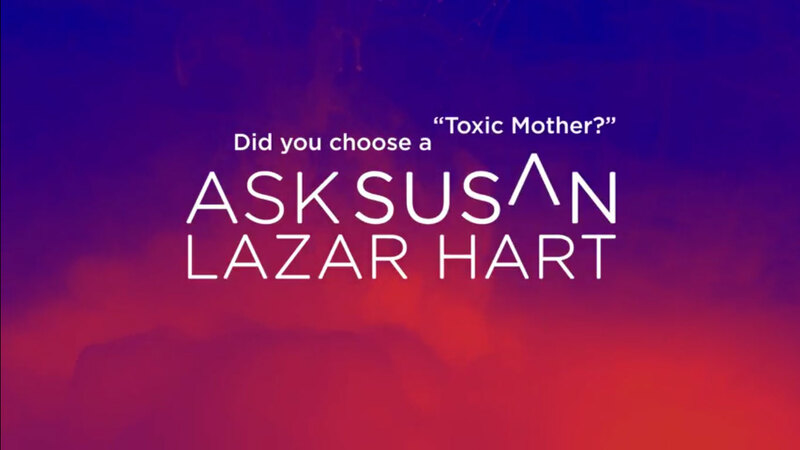 Q&A: Did you choose a toxic mother? 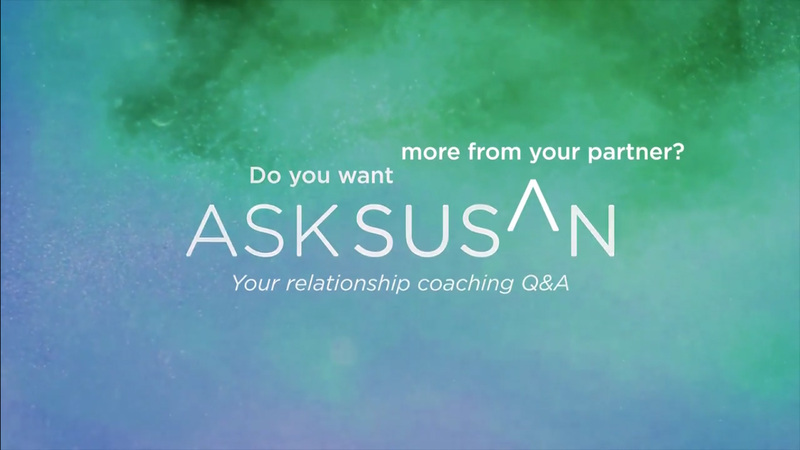 This week’s “Ask Susan” question comes to us from Australia. 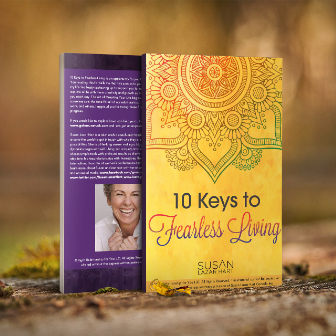 Q: Hi Susan, thank you for the chance to ask a question. Trying to be quick here it is: I have a “toxic mother’ and have tried to cut all ties. She keeps sending letters saying she misses me, loves me, has never meant any harm etc. I know that when I let her back in my life, there will be control, insults, and more. I have sent emails and letters to ask her to stay out of my life, but her partner destroys them before she can see them. I explain that I do not hate her, but for my happiness and mental health it is better if we have no contact. We do have nothing in common. Luckily she lives in Europe and I moved to Australia 30 yrs ago. I am fine when I do not hear from her, but when I get one of those letters I get quite uncomfortable and feel helpless and invaded. I moved and it took her a year, but she got a letter to me! How do I just leave her be? Do you want more from your partner? Q&A: Do you want more from your partner? 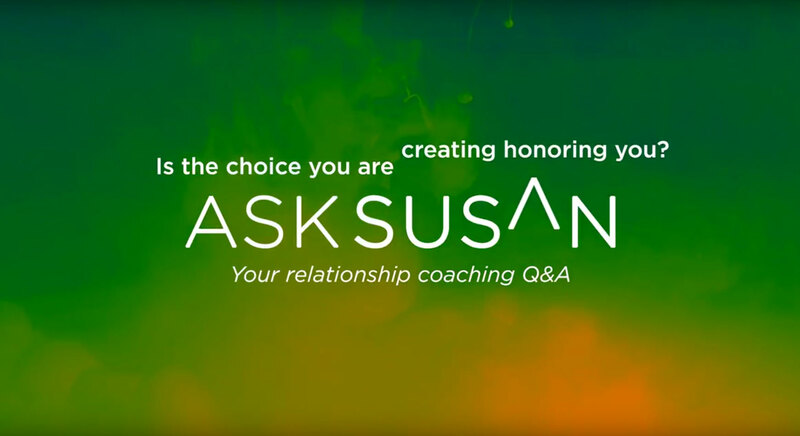 This week’s “Ask Susan” Q&A is from someone who is wishing to be anonymous. Let’s dive in. I think it’s something that touches on a lot of “issues” that people create in relationships when someone has moved away and the relationship itself changes. How many of us want to have that relationship morph into the same kind of relationship we used to have… rather than asking what else is possible and what choices are here for me to actually play with?